Bear Grylls is the ultimate survivor as demonstrated on his hit TV shows including 'Man vs. Wild', 'Escape from Hell' and more recently, Channel 4's 'The Island'. Test your mettle on the extreme five day survival skills course in the Scottish Highlands, delivered by highly trained instructors, hand-picked by Bear and his team of experts. Learn survival techniques such as navigation, ascending cliff faces, self-defence, fire lighting, stalking prey, purifying water and the practical use of snares, traps and drop out fishing lines. Build an emergency shelter, cook some exciting wilderness food, undertake a night navigation exercise and learn how to cross rivers and ravines safely. Finish with a zip line across a 200ft high gorge, where the team will be rescued by an all-terrain, eight-wheel drive Argo! Learn a variety of invaluable survival techniques, including knife skills, building and lighting a fire, foraging, rope skills and more! Courses run at least once a month between July and September. Min age 18. The Bear Grylls Survival Academy Courses are challenging both mentally and physically: in order to get the most from the course, participants should be relatively fit and healthy. Please contact the team with any questions. Arrive at the course location meeting point at 3pm on day one and depart five days later. On completion of the course, receive the coveted Bear Grylls Survival Academy badge, certificate, and your very own Bear Grylls Ultimate Knife. This course is strictly limited to a maximum of 10 participants and three Bear Grylls Survival Academy Instructors. 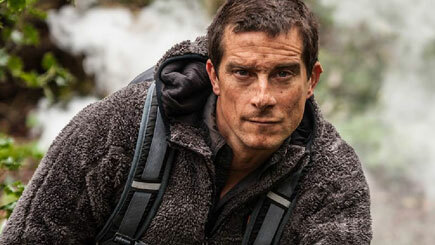 Please note that Bear Grylls will not actually be there on the event.